I haven't done a Greek files post for quite some time now so today I want to show you two of my favourite fall nail colours by Erre Due. If you read this blog for sometime now you will be familiar with Erre Due, a Greek cosmetics brand that a great range of nail polishes. 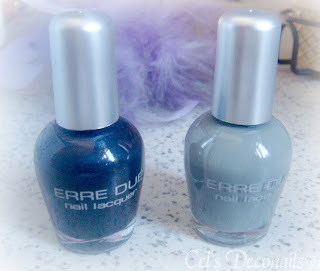 Two of the colours I really like for fall are Erre Due 249 and Erre Due 256 . Erre Due 249 is a beautiful blue colour with a metallic finish. Here you can see it on my nails, after having applied two coats without topcoat. Erre Due 256 is a grey creme. Usually I don't like creme colours but I am really loving this one. Although I am itching to add some glitter on top. This one too is two coats without topcoat. 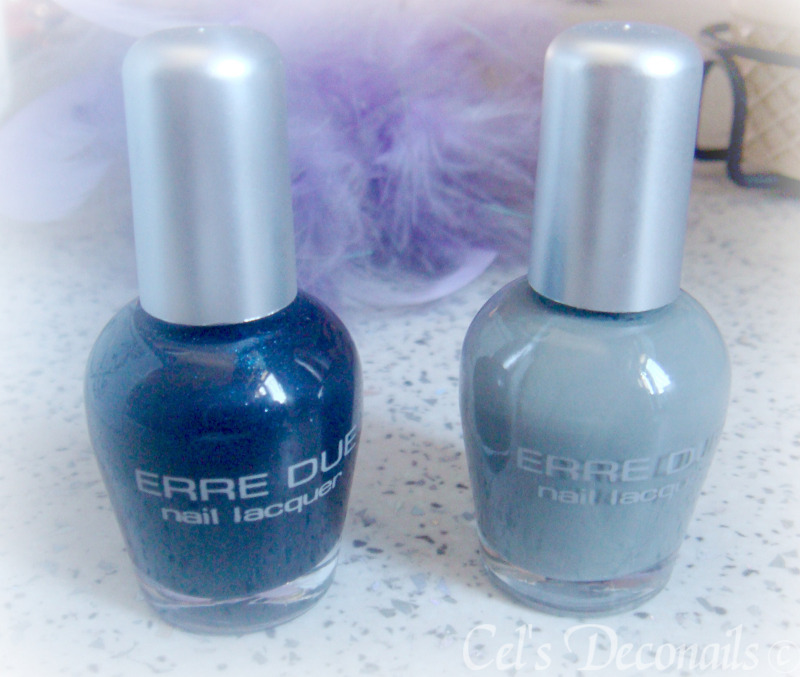 Have you tried Erre Due nail polishes dear readers? What are your favourite fall colours? το μπλε είναι τέλειο! Έχω πολλά Erre Due. Πρόσφατα πήρα και ένα glitter απο την καινούρια τους σειρά και έχω βάλει στο μάτι ένα ακόμα χρώμα.